This sumptious necklace was made by Jean Wilkinson. In the centre of the necklace is a pear shaped moonstone set in an 18ct yellow gold rubover setting between two "wings" of 18ct yellow gold and shaded green plique a jour. At the end of each "wing" is an 18ct yellow gold tube set with a fine round emerald. 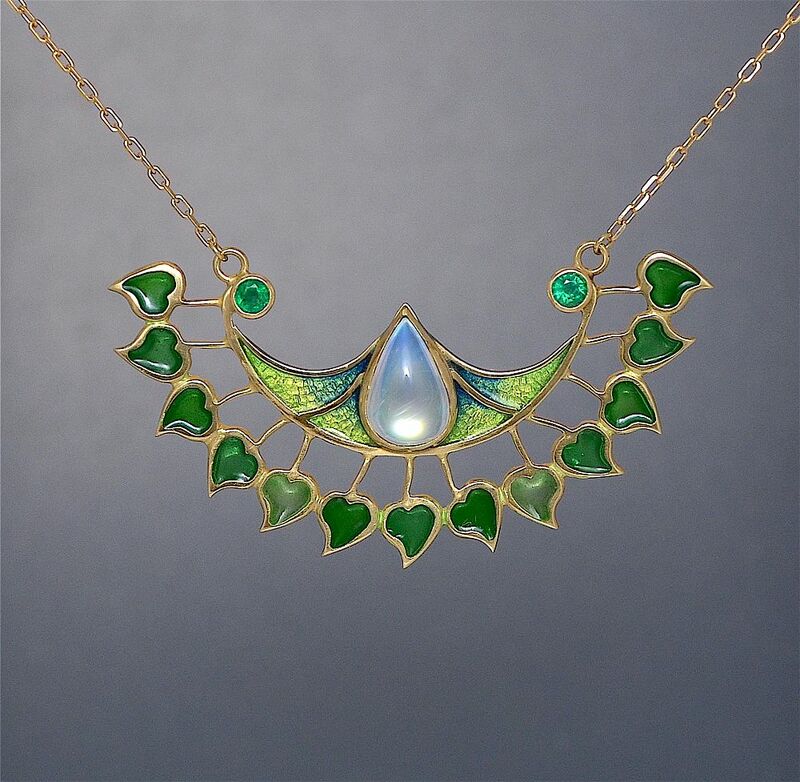 There is a fringe of 13 18ct yellow gold and green plique a jour heart shaped leaves below the moonstone set section. The necklace has a fine 18ct yellow gold chain. This is a gorgeous piece that you could wear for any occasion and with any outfit, smart or casual.